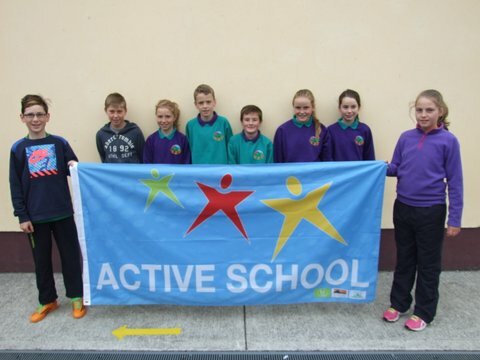 SEPTEMBER 2015: We proudly raised our Active School Flag, which was awarded to our school in recognition of our efforts to make our school more active. A big thank you to the parents, pupils and staff who all worked together to achieve this success. A special thank you to our Active School's commitee who showed great commitment and dedication to their responsibilities throughout the school year. Let's work together again to make this another active, happy and healthy school year! 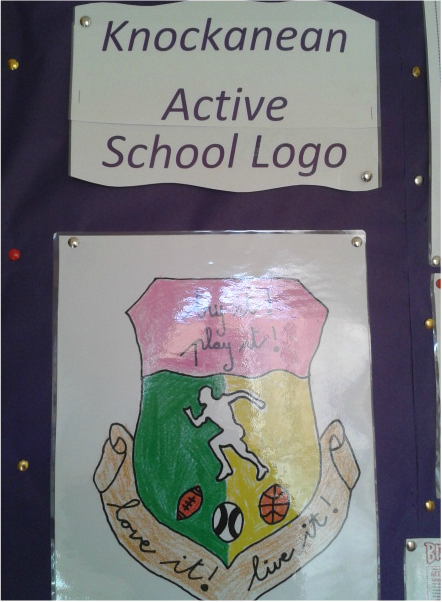 We are trying to make Knockanean a more active school! We hope to be awarded with an active school flag for our efforts..